The Petersburg Old Town Historic District first received recognition on the National Register of Historic Places in 1979. The original district encompassed most of the early portion of the city. Notable structures included groupings of 19th century warehouses, factories, and some residential buildings. In 2008, a boundary increase added a few large commercial/industrial buildings falling within the original period of significance, from the eighteenth century to 1930. The district’s most recent boundary increase, in 2012, includes buildings entirely commercial in nature. The structures occupy one of the oldest parts of the city, but represent the area’s transition to more modern commercial use. 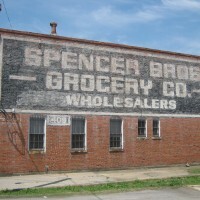 The expansion, approximately seven acres, includes five commercial buildings erected between 1925 and 1953 and six commercial warehouses built between 1914 and 1957. The area’s period of significance now extends to 1958. The contributing resources are primarily of cinderblock masonry construction. The district expansion qualifies for the National Register’s Criterion C, Architecture, as containing good representations of mid-twentieth century commercial/light industrial construction. 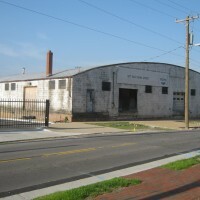 The resources in the 2012 district expansion also serve as physical representations of Petersburg’s industrial past, further qualifying the expansion under Criterion A.